No.230 Test Screen Tray - Gilson Co.
No. 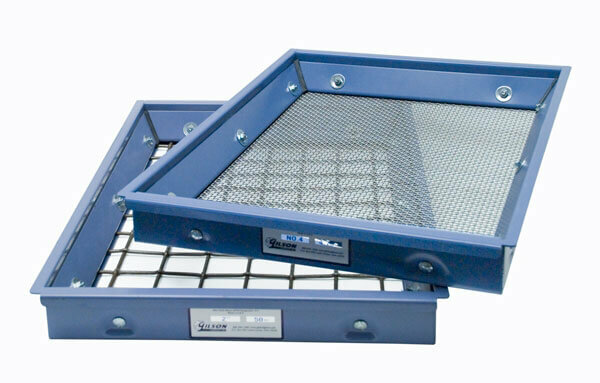 230 (63µm) full ASTM Testing Screen Trays w/ Backing Cloth feature welded and bolted heavy gauge painted steel construction and are fitted with ASTM E11 Compliance Grade wire cloth. Included #4 Backing Cloth prevents damage and extends service life.